"To L. G. Makovski. 2374 Cookman St. Victoria. BC. From Isabel "Alexandria" of the Province in 1910. Vancouver. B.C. June 29. 1961" in blue in and "MacLean 883 Broughteon (…)" in pencil on half-title page. Hardcover, spine loose, rebound with red tape on outside. Wear and tear on front and back cover, large stain on front cover. Black and white illustrations. Cautionary Tales for Children: Designed for the Admonition of Children between the ages of eight and fourteen years. Belloc., H. and T. B., B. 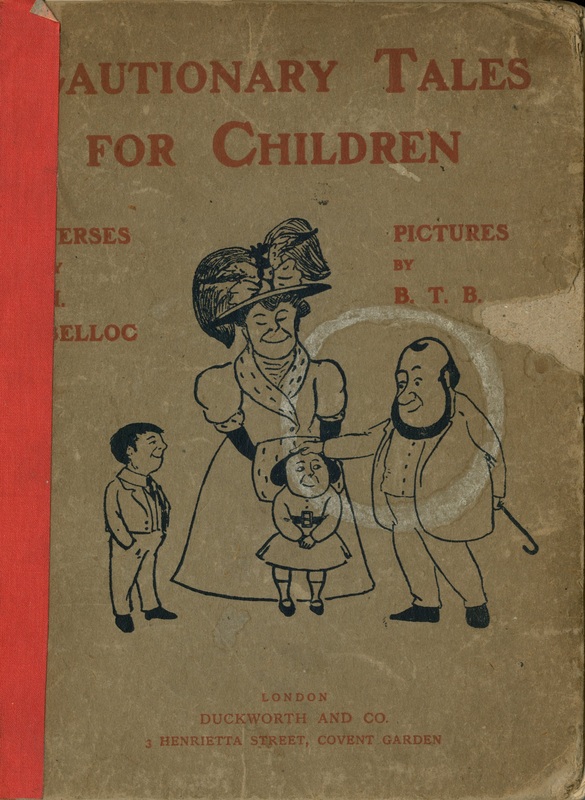 (Illustrator), Cautionary Tales for Children, London: Duckworth and Co., 1918, Children's Literature Archive, accessed April 24, 2019, http://childrenslit.library.ryerson.ca/items/show/9084.